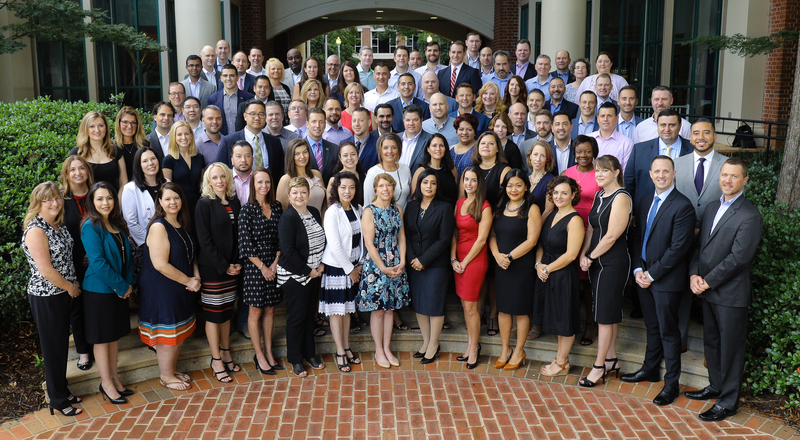 Congratulations to the 89 members of the CBA Executive Banking School Class of 2018. Today’s graduates have completed our rigorous three-year program, preparing them to serve as retail banking's future leaders. CBA is proud to announce this year's honors students as well as this year's recipient of the Tem Wooldridge Award, KeyBank's Christopher Manderfield. Special thanks to all of those who helped make the 2018 session of CBA Executive Banking School a huge success. View photos from the 2018 session of CBA Executive Banking School. Download, print and share your favorites for free via CBA's Flickr page. Selected by faculty and fellow seniors, KeyBank's Christopher Manderfield is the 2018 Tem Wooldridge Award recipient, an honor recognizing the top student from each CBA Executive Banking School graduating class. Named for a retired faculty member, the Tem Wooldridge recipient possesses the necessary character and leadership skills to bring out the best in their teammates. The 2019 session of CBA Executive Banking School will take place July 21-31 at Furman University in Greenville, S.C.